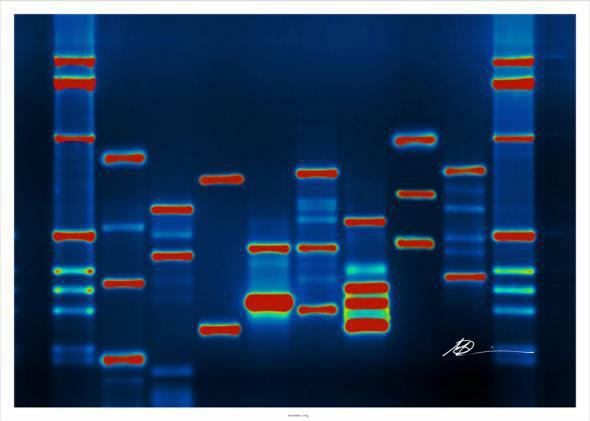 Devious defecator case: Jury awards millions over illegal DNA tests. A human’s DNA. Employers, don’t ask for this. Atlas Logistics Group Retail Services, a grocery distributor, was concerned when it discovered piles of feces in the aisles of its warehouses—and in its canned goods. So Atlas pressured warehouse workers to submit to a cheek swab, then extracted their DNA and compared it with the DNA found in the excretion. Jack Lowe and Dennis Reynolds, two Atlas workers, hesitantly gave over their DNA to Atlas and were cleared of the crime. They then sued their employer for violating federal law. On Monday a jury in an Atlanta-based federal district court awarded Lowe and Reynolds a stunning $2.2 million: $475,000 in compensatory damages for mental pain, and $1.75 million in punitive damages as a deterrence to any company thinking about requesting its employers’ genetic material. U.S. District Judge Amy Totenberg had already ruled that Atlas violated the Genetic Information Nondiscrimination Act, or GINA, when it asked for Lowe and Reynold’s DNA. The astonishing jury award is expected to be lowered on appeal, but Lowe and Reynolds will probably walk away with a healthy sum. The case—which Totenberg called “the mystery of the devious defecator”—is a helpful lesson in two respects. First, it teaches Atlas that the company must fire its attorneys immediately, because no marginally informed lawyer could possibly sign off on a scheme to collect employees’ DNA. Second, it reminds employers across the country that, yes, asking employers to turn over genetic material is totally illegal. Under GINA, no employer may “request, require, or purchase genetic information with respect to an employee.” That broad wording ensures that even when a poop bandit is on the loose in a food warehouse, management is absolutely barred from whipping out the DNA swabs. Silly as this “devious defecator” case may seem, GINA is actually an incredibly important nondiscrimination law. Without GINA, employees might be terrified to take doctor-mandated genetic tests, for fear that an employer would request the results—and fire them if they were likely to fall seriously ill. Atlas may have only used Lowe and Reynolds’ DNA to absolve them of the poop crime. But once it had their genetic information, the company could map out their likely biological destinies. GINA is really a civil rights law for the 21st century. And as Monday’s verdict proves, the law is doing its job commendably.